I was inspired by a couple of lines from Surinder Singh Johar’s book, ‘Guru Tegh Bahadur: A Biography’. The book is about the ninth guru of the Sikhs, Guru Tegh Bahadur, who gave his life for his beliefs. 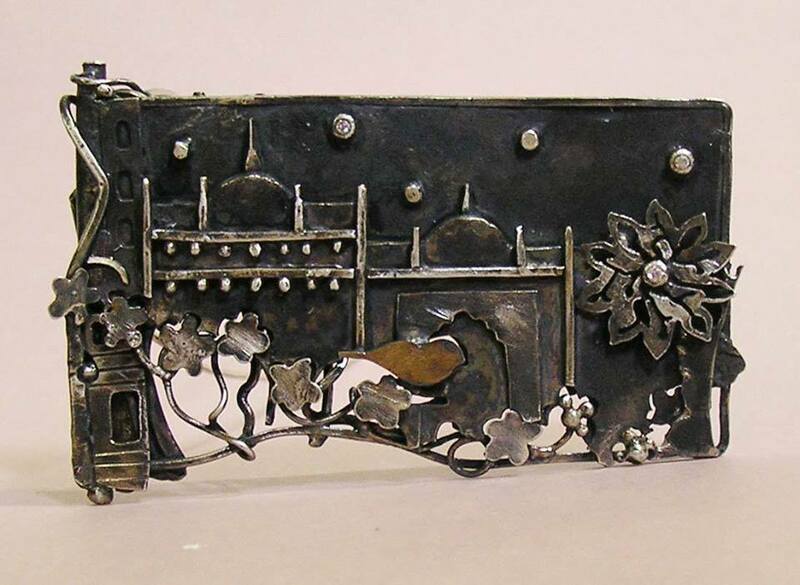 The brooch, ‘Under the night sky’, shows a simplified façade of the Sis Ganj Gurudwara, in Chandni Chowk, Delhi, where the Guru was beheaded under a Banyan tree (back of piece). In the front, is a bird-a lone believer, at the entrance of the gurudwara, aglow with the knowledge of his Guru’s courage and sacrifice, giving him the strength to steadfastly believe in and pursue, what he holds dear. 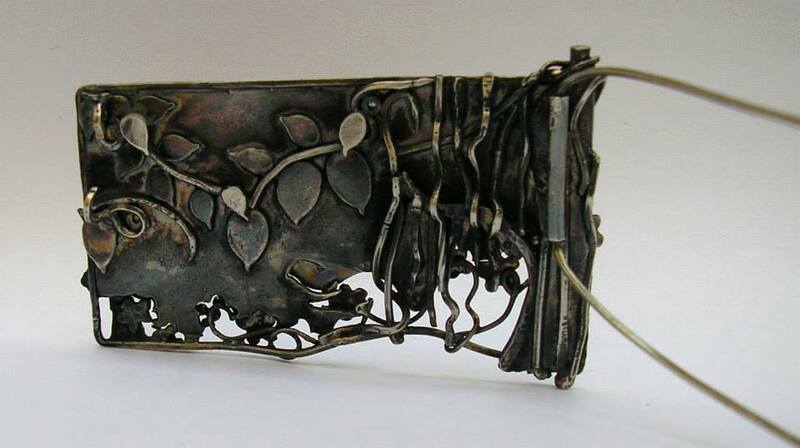 The piece is made in sterling silver with C.Z. This entry was posted in art, contemporary, craft, jewellery, jewelry, studio and tagged art, banyan tree, believer, chandni chowk, contemporary, courage, craft, Delhi, disciple, dream, Guru Tegh Bahadur, jewellery, jewelry, Old Delhi, sacrifice, sikh history, sikhism, sis ganj gurudwara, surinder singh johar. Bookmark the permalink. It’s beautiful – so much detail, so much to look at and discover.